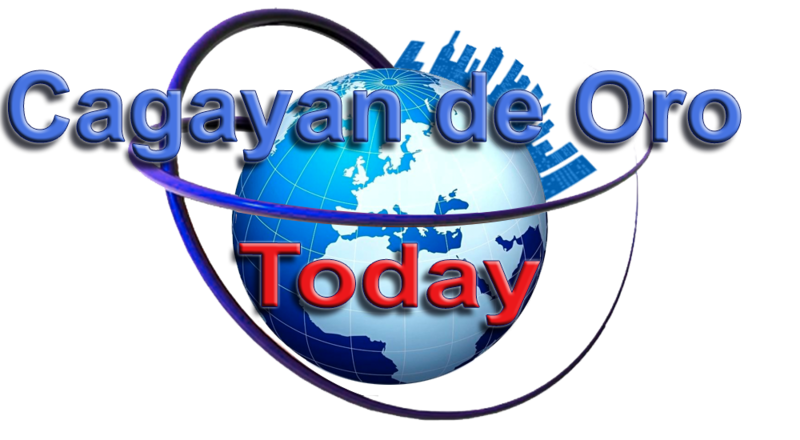 Home / Cagayan de Oro City / Events / Jobs / News / Join the Philippine Air Force - Be an Officer Candidate! 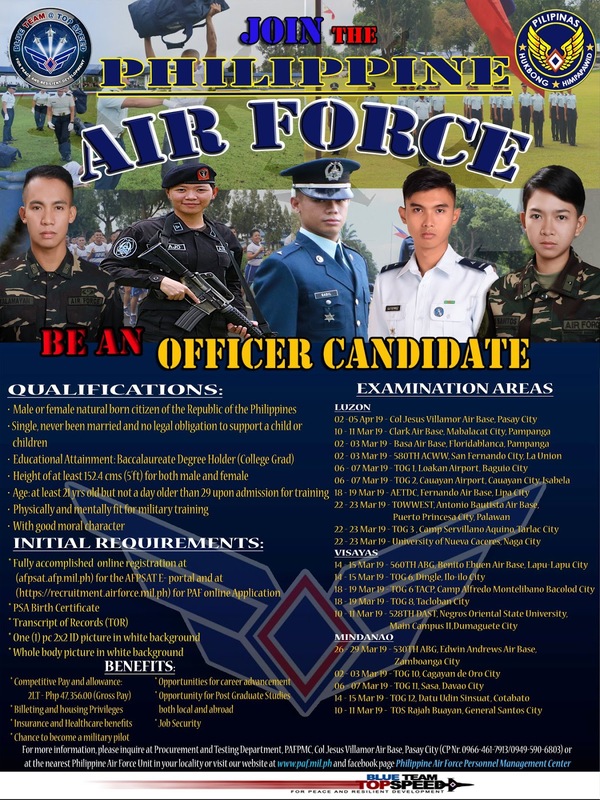 Join the Philippine Air Force - Be an Officer Candidate! Here is the final schedule for the nationwide qualifying examinations for the Philippine Air Force Officer Candidate Course Class 2020 (PAFOCC CL-2020). Please be informed that the processing centers will no longer accept walk-in applications. Instead, you shall be required to register and apply online. Please feel free to visit : https://www.paf.mil.ph for more information. Height of at least 152.4 cms (5ft) for both male and female. For more information, please inquire at Procurement and Testing Department, PAFPMC, Col Jesus Villamor Air Base, Pasay City (CP number: 0966-461-7913/0949-590-6803) or at the nearest Philippine Air Force Unit in your locality or visit the website: www.paf.mil.ph and Facebook page: Philippine Air Force Personnel Management Center.